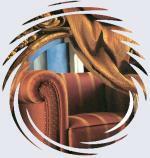 Welcome on the website of Stoffe Interier Ltd. As our references are showing our company is successfully operating on the field of interior designing since 1998..
We are offering high quality decorative fabrics and curtains, upholstery fabrics, furnishings household, exclusive bed linens, curtain rods.We offer products of world famous companies form all over the world – Great Britain, Germany, Italy, Spain, France, Austria, USA. We offer you consultations and design services based on our long time decorating experience. Based on your needs we can create the project right at your interior. For our customers we offer counselling and designing services free of charge. We offer the realisation from the beginning to the end, from the meter aging of the interior until the final assembly, even with cooperation with your architect. Come, visit us, we would be happy to help you.